1) Please tell us a little bit about yourself, Ms. Lara Starr? I’m a children’s book publicist, radio producer, and author of lots of fun cookbooks for kids! I'm old enough to have been the prime age to see the first Star Wars movie come out, circa 1977, and I've been a fan ever since. I’m also very lucky to live in San Francisco and have had the opportunity to visit Skywalker Ranch and the Lucasfilm office so I could see original props, costumes, models, and other cool stuff! 2) How did you decide which recipes were going to be included in this book? Did the name come first or the concept? It was a mixture of both! Sometimes I have an idea for a recipe and I “Star Wars-ify it”, and sometimes I get an idea for a recipe while watching the movies. 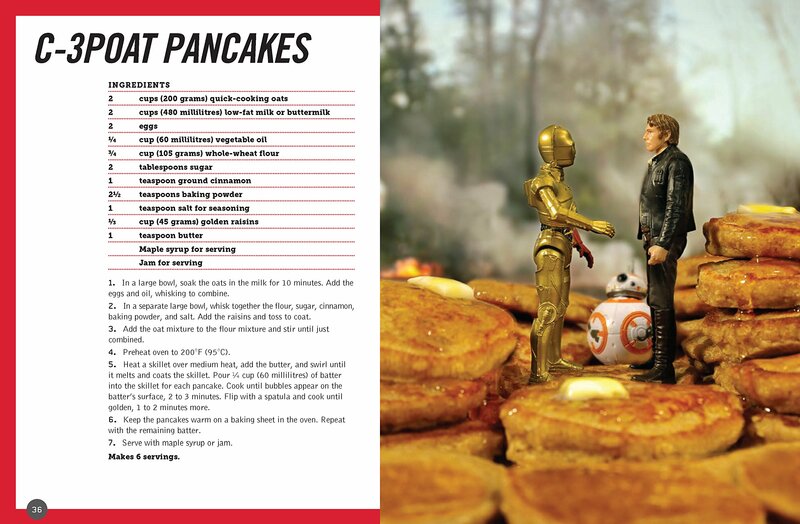 I knew BB-Ate had to have waffles in it, Luke Skywaffles was also a natural, plus Captain Phasma’s shiny armor inspired foil-wrapped breakfast potatoes. 3) After writing this book, what do you find is the most surprising fact featured in it? Well, there were some surprises, because there were some characters and scenes from 'The Last Jedi' that were included in the book that I couldn't talk about and didn’t know what they meant until the movie came out. Once it did, though, it was fun to discover how they fit into the story. 4) What song would you say best represents this recipe book and why? Wow! That’s a fun question! Well, the book is all breakfast and brunch recipes, so I’d have to go with the Simple Minds song, “Don’t You Forget About Me”, because it makes me think of the film, 'The Breakfast Club'. 5) If you had to cook a meal for any of the characters in the Star Wars Universe, which character would you choose, and what would you make for them? I’d love to have a girls brunch with Princess Leia. I’d make cinnamon rolls, of course, mimosas, “Chewie’s Bacon”, which is delicious bacon cooked in brown sugar, and “Kylo’s Ren-Egade Fruit Bowls” with fresh fruit in a phyllo bowl. 6) During your time in this field, what is the one thing that has kept you in good stead? I’m a big fan of Wookieepedia and I used it to research obscure characters and storylines from the Star Wars canon so I could come up with recipe ideas. It’s so detailed and deep! 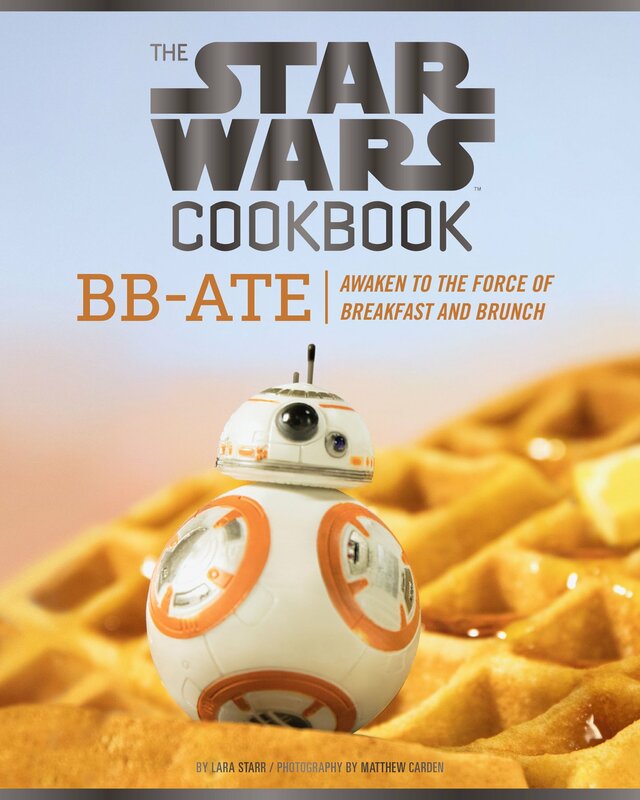 And on that note, I'd like to thank Lara for telling us about her new book, 'The Star Wars Cookbook: BB-Ate Awaken to the Force of Breakfast and Brunch', before encouraging you to pick up a copy via Amazon or the Chronicle website. After all, this 60-page hardback is filled with some really fun recipes even Darth Vader would love to eat! Wait a minute! Can Darth Vader eat?